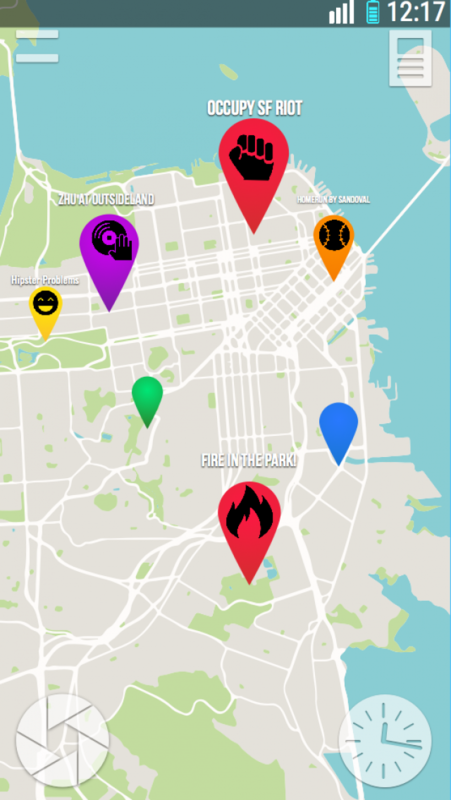 BuzzMap is an app that let's you share and view videos of buzz-worthy events on a map-interface in real-time. It's like Waze for news videos. The map-interface displays various pins that represent different events. When you click on a pin, a video of that particular event pops up. If you happen to witness a buzz-worthy event, you can also upload it to the application. Now you can see what's going on around you.